I came across this knowledge revealing article in my mails list and this got me thinking how I can fully optimize @Waxloaded Twitter Page to Get the best and improve my Website traffic, After Applying all the Steps to Optimising a Twitter Account of my Page, I came to realise that it is definitely working as Google Was able to indexed my Social media accounts for both Twitter and Facebook leading to what Googlebot has understand about my website or what my Website is all about. If you own a Twitter Account that talks about the product or service you offer, you can fully optimized your Twitter account to boost sales or your website traffic which am going to list for you in this article. Twitter Recorded over 321 million monthly active users as of 2018 as soon many brands owner will be able to reach their potential customers, tap a few ideas from them to improve their sales, learn how to satisfy them to their products or services and all other diversification and engagement you can actually think of using your Twitter. 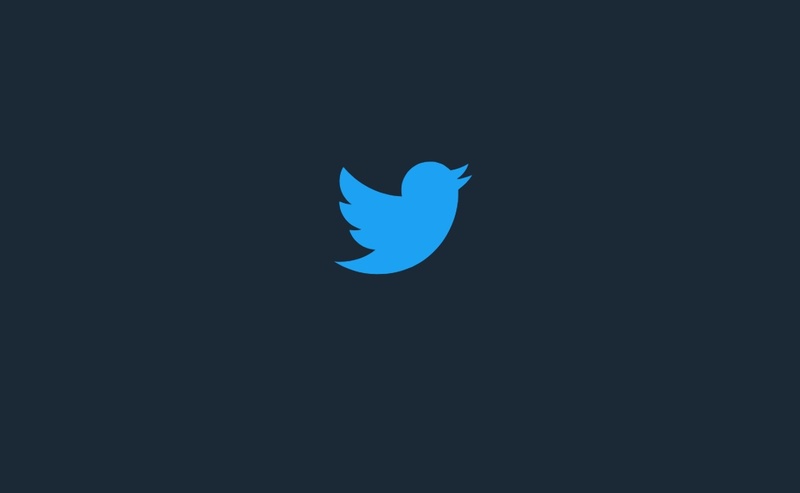 Web owners can also boost their website traffic if you can fully optimized your Web Twitter Account with Your posts, Comments, sharing, tweets and the use of hashtag to increase your website traffic. Google search as the biggest could be on a large scale to boost your website traffic but nevertheless you can as well get traffic's from other search engines like yahoo, Bing if you fully optimized your Twitter account. Aside other social media, Twitter has proven more effective when it comes to taking your brand to the Next scale of preference as you can communicate with your customers which increase your audience and awareness of your brand. Fully Optimization of your Twitter account is not a difficult task, are you bothered because there is not turnout of sales for your product? Do you feel agitated when someone couldn't find how to reach your product even when you have tried all possible means? Then these proven effective methods to boost your website or sales in 2019 can help you to fully Optimized your Twitter account. First and foremost, you need to Optimize your Twitter handle if you want to open your she'll to reach more audience for more engagements on your Twitter handle. Before you can explore your brand or website, people will often find out what your Twitter handle is all about that why you fully need to Optimize your Account. During the course of people or the audience making search your Twitter handle can display and those who are interested in your brand or website will definitely know what your handle is all about. Now once you search on a keyword on Google to get more information about it, Google search displays your Twitter account and they check who you really are on your social media. 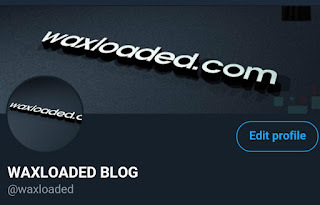 The Twitter Account handle name is WAXLOADED BLOG as shown in the Screenshot so Google takes the brand name and place it on search when Subscribers picks on those words, so do such to improve your visibility on the Cyber Twitter space. What does your Twitter biography entails, in other to fully optimize your Twitter account you need to let know of your biography which is either the product or service description or what your website is all about. Never forget, it's only limits to enter 260 characters so to create a standard biography you need to make it short and precise and this improved your ranking in searches. Make sure it seeks attention of visitors, let it be relevant, bold and strong that could make people wants more, it's actually helps to get the right audience for your brand, services or website. It will not be great if you could not use relevant keywords related to your niche when composing a biography, this improved the presence of your of brand or web and making it indexable for Google and much more easier to target your audience. Don't make it clumsy by adding to many keywords which will not be meaningful to the visitors but select the most relevant keywords to create a good biography. 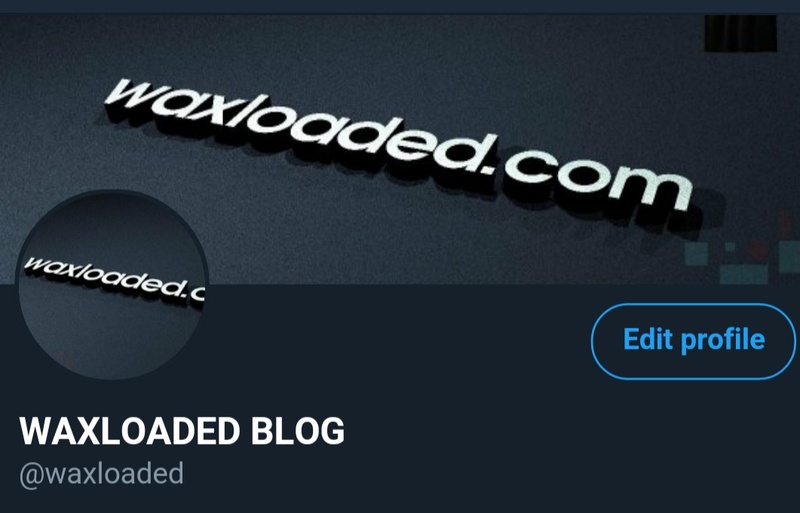 Check out WAXLOADED BLOG biography which includes all relevant keywords related to the niche. Make use of relevant phrases for your biography in other to improve the search engine ranking for your brand or niche. You need to know how to effective make use of the Hashtag to improve your search ranking and this help to get the relevant audience for your product and discover what your product or service is all about. Be careful on how you use the hashtags for your Twitter handle or stream in improving your search handle. Think of how it will be presented to them if you are in end user too, what are the keywords and hashtags would they use? Will This be helpful to you and identifying the hashtags that are also relevant but also unique in it's own way. Make sure you use hashtags which are specific to your industry. You can as well make use of keyword planner related to your niche to get the best hashtag for your industry, using Hashtag campaign as an advertising campaign making it to get to the right audience. You can hashtags a single tweet with 1 or 2 and at most 3 but don't make use of hashtag on every single post to avoid stuffing. Just like using targeted keywords to improved the search engine presence of your website, you need also to improve your tweets by using the relevant keywords as your title on website related post or when composing a sentence for your products, this makes Google to access your tweet stream and also another added Advantage as Twitter also have their own internal search engine. When making a tweet or tweet to retweet make use of targeted keywords related to your niche or brand and all relevance to to search queries. It will help you to gain high ranking in search result although the primary intention is to include targeted keywords. For instance, Samsung Mobile released their new Galaxy series smartphone, the Galaxy S10, in February. 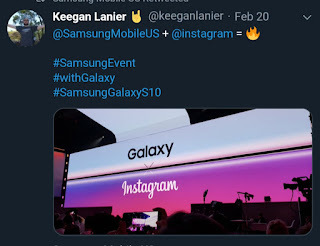 In one of their recent tweets, they used targeted keywords like “smartphone,” “next generation,” and “Galaxy.” You can also implement this strategy and witness an increase your search engine rankings. Getting high-performing keywords that is ranking high on search engine is not an easy task but with keyword ranking tools it have make things easier and faster. webseo keyword tool has this feature and can give you high ranking search keywords that can boost your website traffic or brand. This tools helps you to generate the latest top ranking keywords and display your search volume which can help you discover ideas in coining your own keywords which can boost your traffic. Like I mentioned to get a perfect keyword for your niche in ranking high it's never an easy task but keyword ranking tools can help you generate a 50+ ideas on how and what you intended to do and know about your website or brand to rank higher. So to boost your Website Traffic and Sales, applying the all tips of optimizing your Twitter handle. In addition, your SEO strategies can as well serve a long way to boost your Brand or Website Traffic.